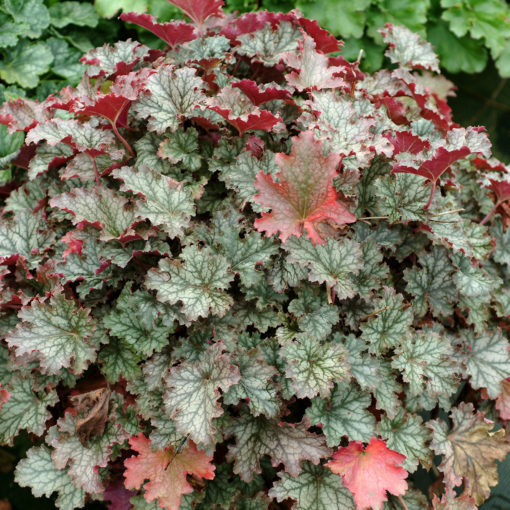 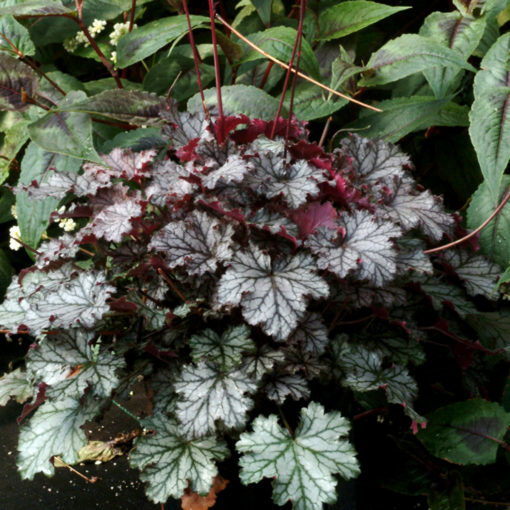 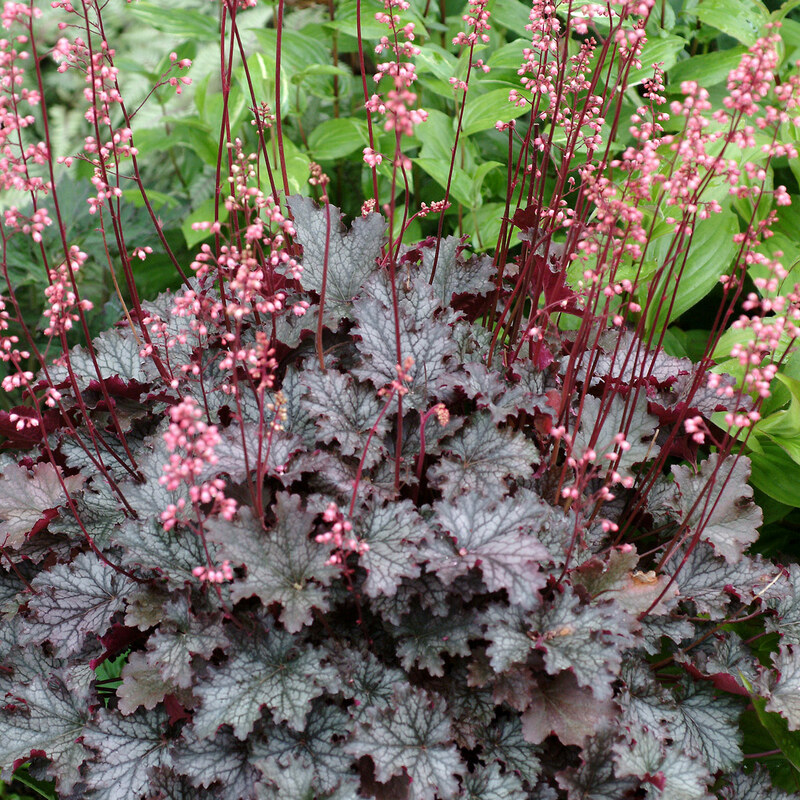 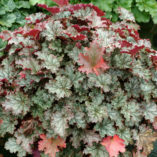 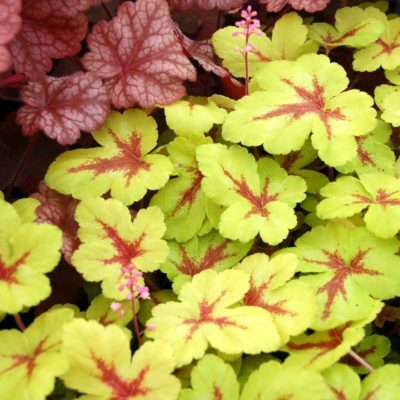 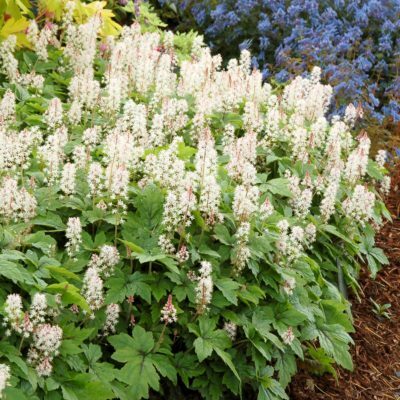 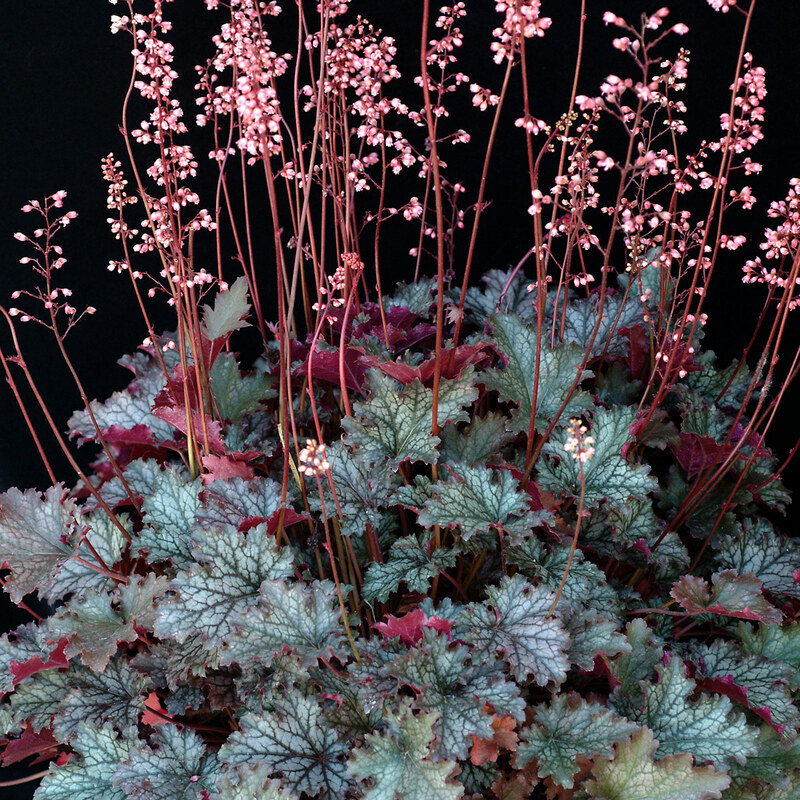 Heuchera ‘Fandango’ | TERRA NOVA® Nurseries, Inc. 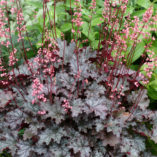 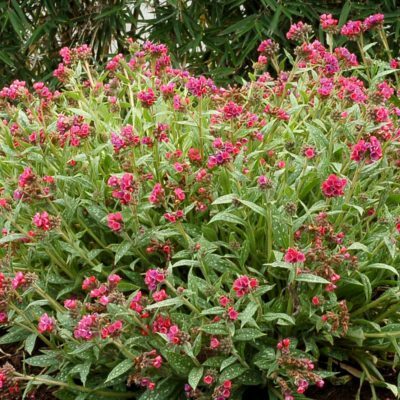 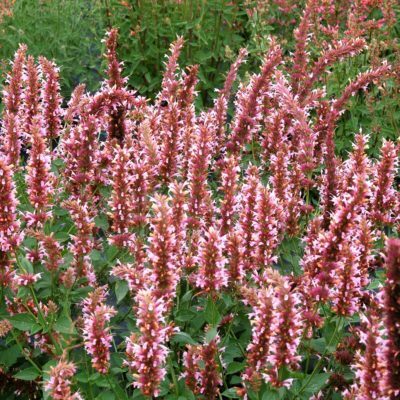 This compact, free flowering plant has veiled-metallic ruffled leaves with a swirl of coral wand-type flowers around the short stalks. 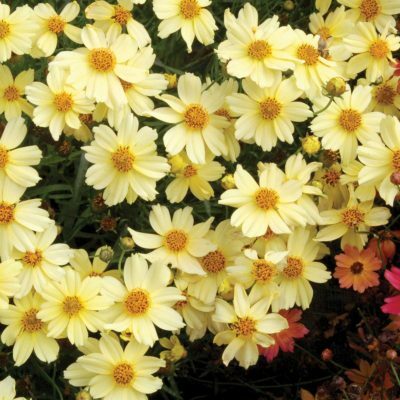 It's a repeat bloomer. 7" / 16" / 16"
Compared to 'Autumn Haze' or other older veiled plants, it has much better flowers, and repeat blooming. Differs from 'Gypsy Dancer' as the leaves ruffled and has wand type flowers with darker flower color.